Numbers are looking good for our TRI FEST this weekend. The NT Long Course Triathlon C'ship (supported by Triathlon NT) is the feature event and currently has the most entrants. The Short Course Triathlon is proving popular and the new events of AquaBike, BikeRun and MTB Triathlon have also attracted interest. We are grateful to those who have volunteered to assist at TRI FEST and it looks like being a top day! Good luck to all those participating on Sunday. Team Options - NT Long Course Triathlon, MTB Triathlon, AquaBike Long and RideRun Long. All participants will go into post event lucky draws valued at $1000 with chance to win if present when drawn, so please stay for award presentations & lucky draws. Early bird entry closes tomorrow Friday 25 Aug 17. 1. If you are driving down on the day and not staying at the Resort please drive past the gates and park off road on the right hand side. Please do not park on either side of the road before the resort gates as this is part of the bike course. 2. Remember to bring snacks, water etc. The bore water used down there is not the tastiest. We transport water down for use on aid stations. Please ensure you bring enough water to fill your water bottles for the bike leg. There is a small koisk shop at the resort with very limited stock. 3. Please note all Lake users other than competitors, are now required to wear life jackets. There is also a $5 insurance fee charged for Lake use. Those staying at the Resort have this covered in their accommodation, and we will be providing a list of our competitors and covering this on their behalf. Any other day users will need to attend Reception and organise this individually. 4 There are various accommodation options (including camping, dorm, and resort rooms) available at Lake Bennett Resort if you are wanting to stay down and enjoy the tranquility. Let them know you are coming for the triathlon and want the triathlon rate. 1. Congrats to Kia King, winner of Stage 5 of the Mongolia Bike Challenge. 2. Congrats to Kyle Farrier, winner IronKids, Bintan Indonesia. 3. Thanks to those who have volunteered to assist at TRI FEST on Sunday. Race Director Tony Cox has been in touch with you directly and we very much appreciate your offers of help! 4. 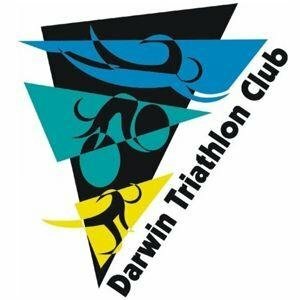 We can always use extra hands to assist with set up, on the day & especially with packing up, so if you are available come on down, please email darwintriclub@gmail.com or check in with Tony Cox on Saturday afternoon or Sunday morning. 4. See you all down at Lake Bennett on Sunday.